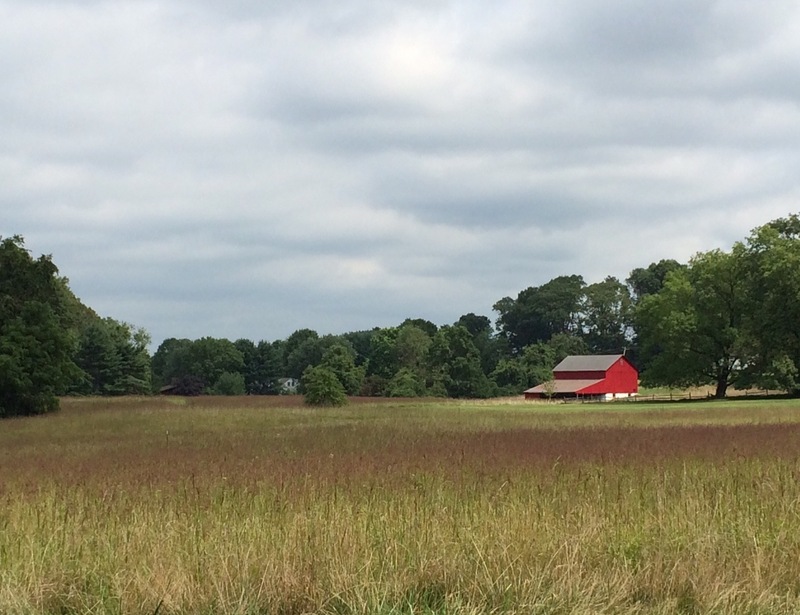 For example – this weekend is the annual Kennett Square Mushroom Festival. 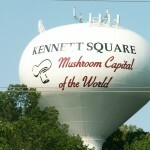 (Because Kennett Square – just a few miles from where we live – is “The Mushroom Capital of the World.”) It sounds like a can’t-miss event: mushroom sampling, mushrooms for sale, culinary demonstrations, a fried-mushroom eating contest, and a mushroom appetizer cook-off. I missed the entry deadline for this year but will be scoping out the competition for next year. I probably would’ve entered my Wild Mushroom “Fondue” – always the first appetizer to disappear from a party, and also great mixed in with pasta for a gourmet version of mac-n-cheese. Here’s our “toast” to New Beginnings?? Serves a crowd as an appetizer, or enough sauce for 1 pound of pasta. Place dried porcini mushrooms in a Pyrex measuring cup. Pour in boiling water to cover (approximately 1 ½ cup). Set aside to reconstitute. Meanwhile, using your fingers or a slotted spoon, gently scoop out the reconstituted porcini from the soaking liquid without disturbing any grit that may have settled to the bottom of the measuring up. Chop porcini and reserve the soaking liquid. Add chopped porcini and thyme to the mushroom/shallot mixture. Add sherry to deglaze the pan (loosen any bits from the bottom) and allow to cook for another minute. Reduce heat and stir in cream cheese and heavy cream. Once smooth, stir in 3/4 cup parmesan and a few grinds of freshly grated black pepper. Taste for seasoning (important! ), adding more parmesan cheese or a pinch more kosher salt if necessary. Stir in a few drizzles of black truffle oil, if using. Serve spooned onto toasted baguette slices or stirred into pasta. This entry was posted in Appetizers, Kitchen Design, Local, Travel, Vegetables and tagged appetizers, kitchen design, moving, Mushroom Festival, mushrooms, vegetarian by subeeskitchen. Bookmark the permalink. Cheers! West Coast readers of Subee’s Kitchen rejoice that the blog has returned! I look forward to you working your kitchen magic transformation. The mushrooms look yummy! Merci et bizzz at toi! Thanks, Lisa! There will be plenty of Before’s and After’s ahead. Thanks, Diana. Miss you! Leah enjoyed making the app, but has been having more fun lately making knit and crochet doughnuts, macarons and cupcakes! Great to get your update Subee! Can’t wait to see how you transform that kitchen! and i just typed east. really? i meant west. wow. i am brilliant, clearly. East or west, would be great to see you! So glad you have something about our lovely state to excite you..who would have dreamed it would be fungus grown in dark, smelly warehouses?! Personally, I’m glad you are here! Fungi are fab, but having family nearby is even better! Hey, Chef Sue! Glad to hear from you…and about the new kitchen challenges! 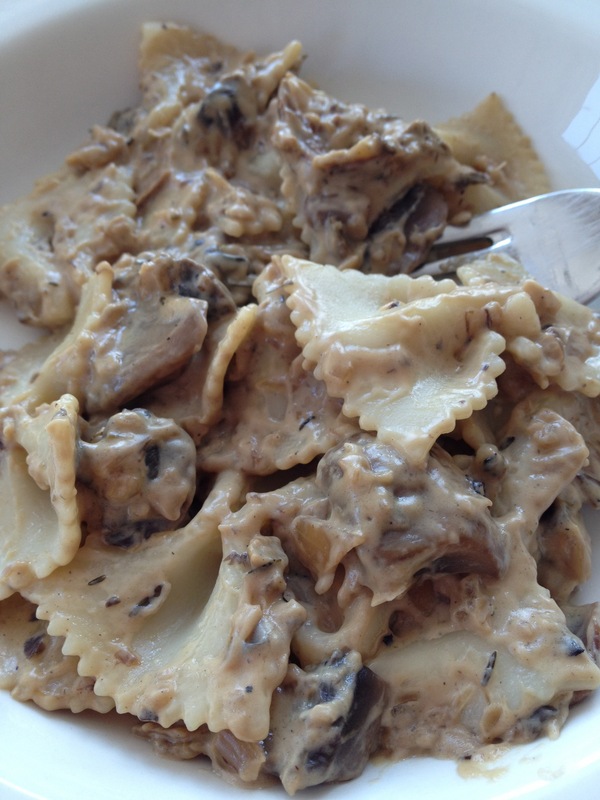 The mushroom delight will be perfect for guests we expect this week. We’ve gotten so many great cooking ideas from you – starting with parchment paper and the thermopen! Keep the advice coming! Hope it all works out and our very best to you guys. 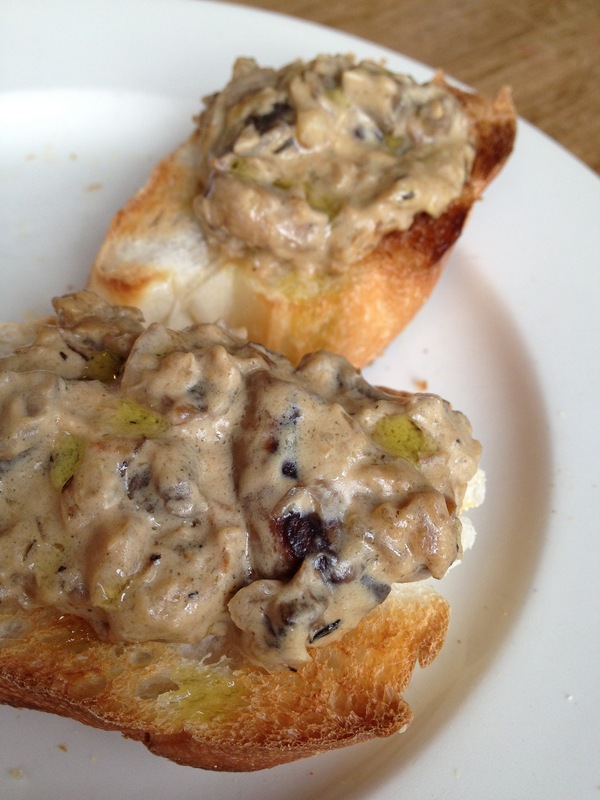 Find a tennis court / or paddle court and we want more mushroom recipes…. ha! Good luck. Keep in touch. Already done! Good therapy. Congrats on your newest member of the family! Yeah – So fun to have Subee back! Hope all is well. Looking forward to the next post! So happy to have received this update today!!! Welcome back! so glad you are back! four years ago, we moved from FLORIDA to pennsylvania into a very “neglected” house… the blood, sweat and lots of tears were my therapy (as a matter of fact, it’s still a work in progress… AND, therapy would have been cheaper)! but it’s been a labor of love and so rewarding as each project is accomplished! each day will get better! (and it sounds like you have great neighbors:) thanks for coming back………………. Thanks, Heather! Wish I had something marinating in the fridge right now . . . Thanks, neighbor! Can’t wait to try the Barn Ruin Honey. You renovated a beauty once you can do it again! So excited you have a whole new house to redo. We missed you and are glad you’re back! We live in Oxford PA! 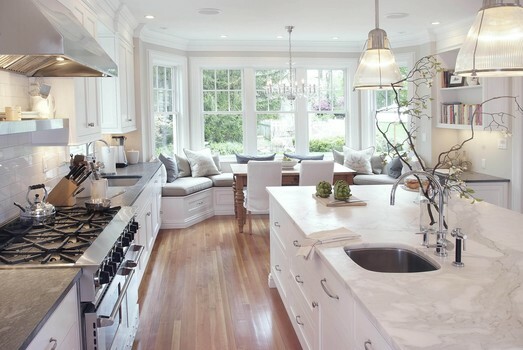 I LOOOVE your kitchen and feel like it is such a peaceful room! Hello! 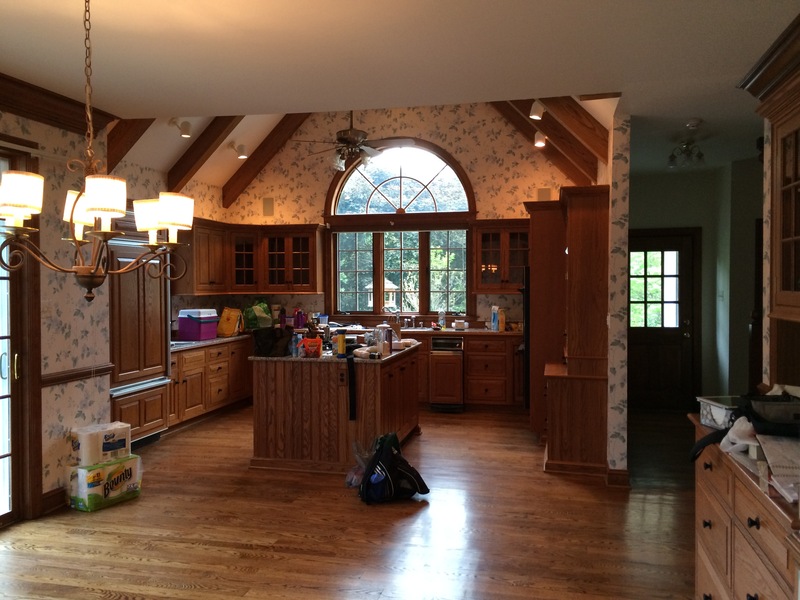 I was led to your blog through your pretty kitchen pics on Houzz. Beautiful!! Now I’m looking forward to trying out some your great recipes. How is the kitchen renovation going? I hope smoothly! Can’t wait to hear about it! Looking forward to recipes, writings and shared renovations! Hi, RJ – Thanks for your words of encouragement. The pine farm table in the photo came from an antique store in NJ. However, you can find them just about everywhere, and in all different sizes. Good luck!